I've been seeing lately on Disney Channel the advertisement for the airing of the movie Frozen. My kids are still looking forward to seeing the movie, even though they have seen it more than a dozen times. That goes to show how much my kids really like this movie. The movie Frozen, which was released in 2013, earned over a billion dollars at the box office. It was one of the highest grossing Disney films and received 2 Academy Awards. The awesome animation, fantastic soundtrack, and lovable characters are the major reasons why children everywhere adore this movie. Not only did the children love the movie, they also love the many toy characters that flew off the shelves as soon as they arrived. 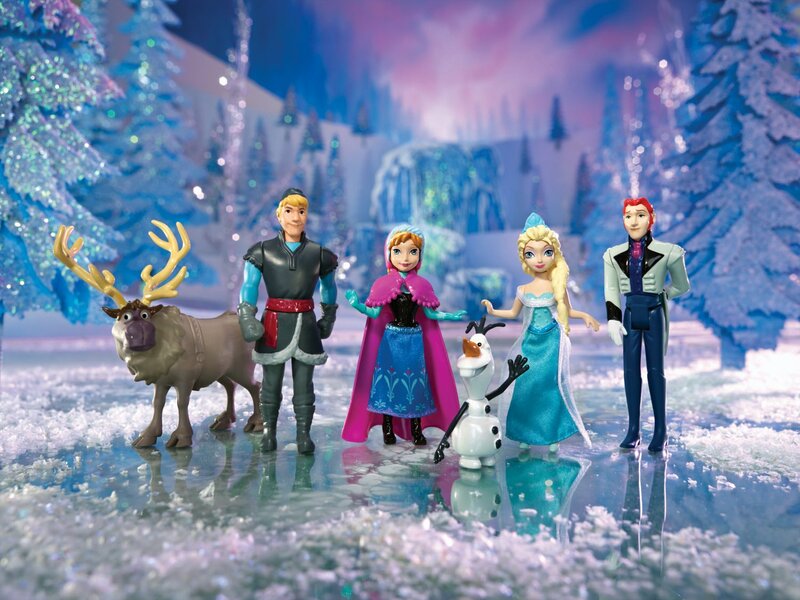 The movie featured several characters including Elsa, Anna, Kristoff, and Olaf, and each one of them has an equivalent toy figure or doll. Elsa is the princess in the story who became a sort of Snow Queen. She has the ability to make wonderful frozen creations with her power. After fleeing from her childhood home because of her power to bring forth snow and ice, she created a new castle for herself made of ice where she hid herself away. 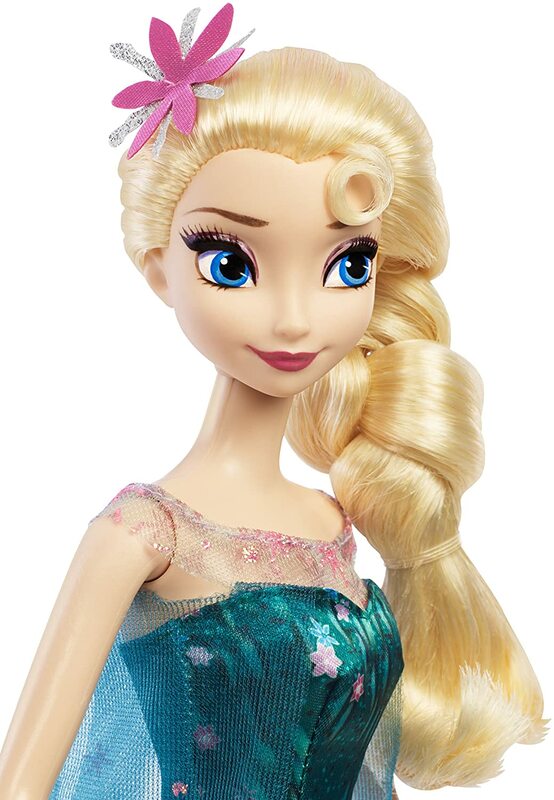 You can get the original Elsa toy character with the Disney Frozen Sparkle Princess Elsa Doll. The doll is dressed in the same kind of sparkling gown the character wore in the movie. The popularity of the doll landed it on several Most Wanted toy lists. The Elsa character doll pictured on the left is the Disney Frozen Fever Elsa Doll. Princess Elsa in this collection is dressed in her spring-inspired fashion -- long green gown with translucent cape and sparkling flowers. Elsa’s younger sister, Princess Anna, is a free-spirited princess. She likes playing with her sister who happily uses her magical ability. But when Elsa’s powers accidentally harm Anna, Elsa withdraws, leaving Anna to grow up lonely and craving her sister’s company. Anna is impulsive and adventurous and believes in the goodness of her sister when others think she’s evil. 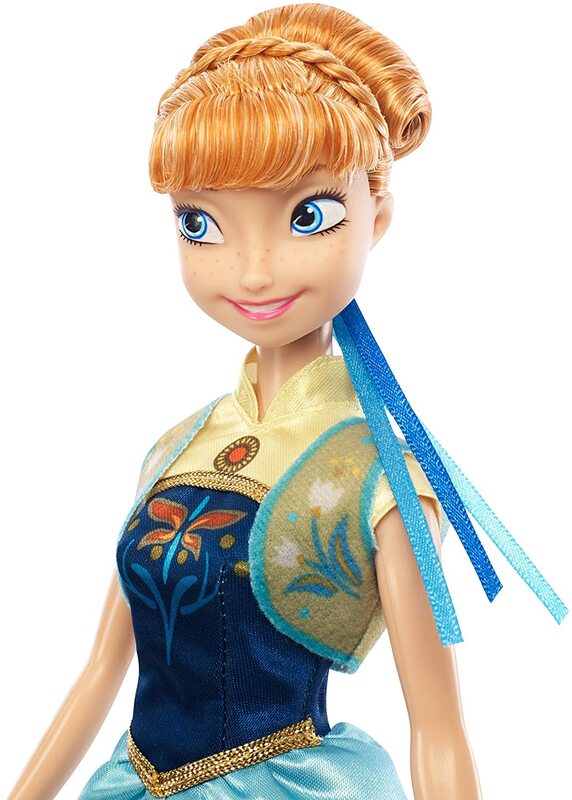 One of the hot selling toys for this movie character is the Disney Frozen Sparkle Anna of Arendelle Doll. The doll comes dressed in a beautiful blue skirt decorated with flowers. She wears a decorative bodice and a cape with a gold pin at the neck. Like her sister Elsa doll, Anna also wears a tiara. Kristoff is the hero in the movie and it’s him that Anna turns to for help in locating Elsa after her sister has run off. The Disney Frozen Sparkle Kristoff Doll is a replica of the character and even wears the fur-trimmed tunic like the character wore in the movie. Kristoff has a beloved pet reindeer, Sven and the two are constant companions. Sven is instrumental in helping Kristoff and Anna reach their destination. 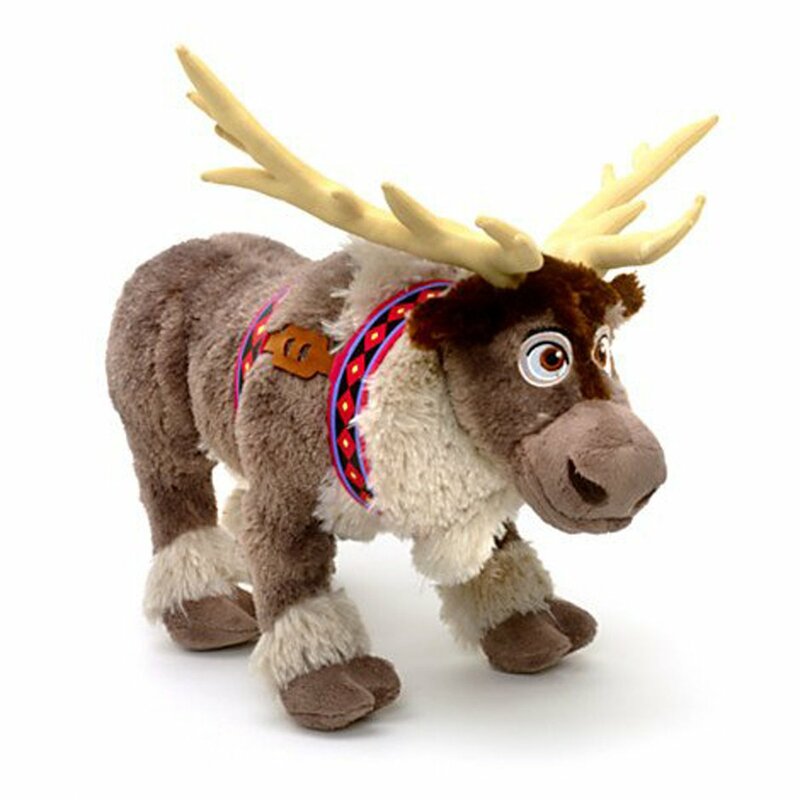 The Disney Frozen Exclusive 16 Inch Plush Figure Sven is made of huggable plush and is patterned after the movie reindeer. Olaf is the snowman that came to life as a creation by Elsa when she and Anna were younger. The snowman comes to life later in the movie and adds great comedic relief. 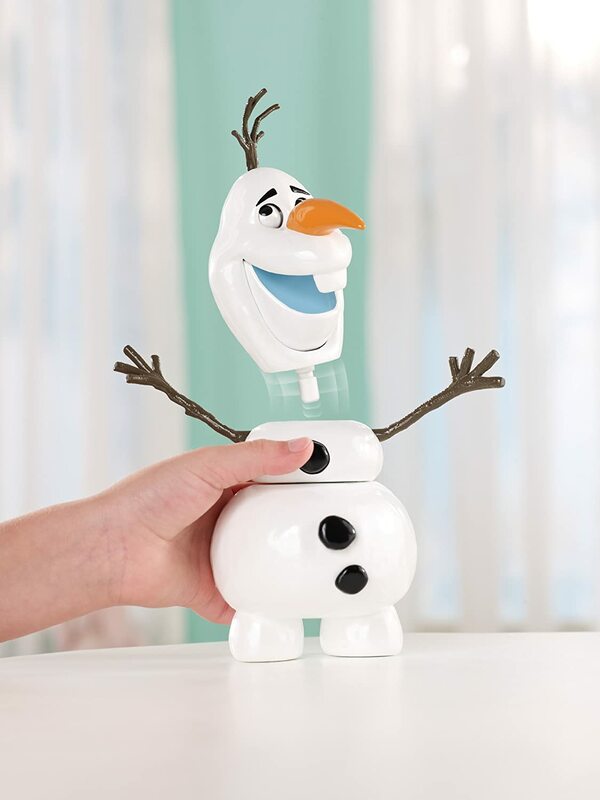 You can get the doll version in the Disney Frozen Olaf Doll. It's head and arms can come apart just like in the movie and if you press down on his head, the expressions on his face change. I wasn't going to mention Hans in this post, but since many kids might like to have all the toy characters in the movie to play with and re-enact scenes in the film, here's Hans. In a surprise twist in the movie, Prince Hans, thought to be a love partner of Anna, turns out to be the bad guy in the story. 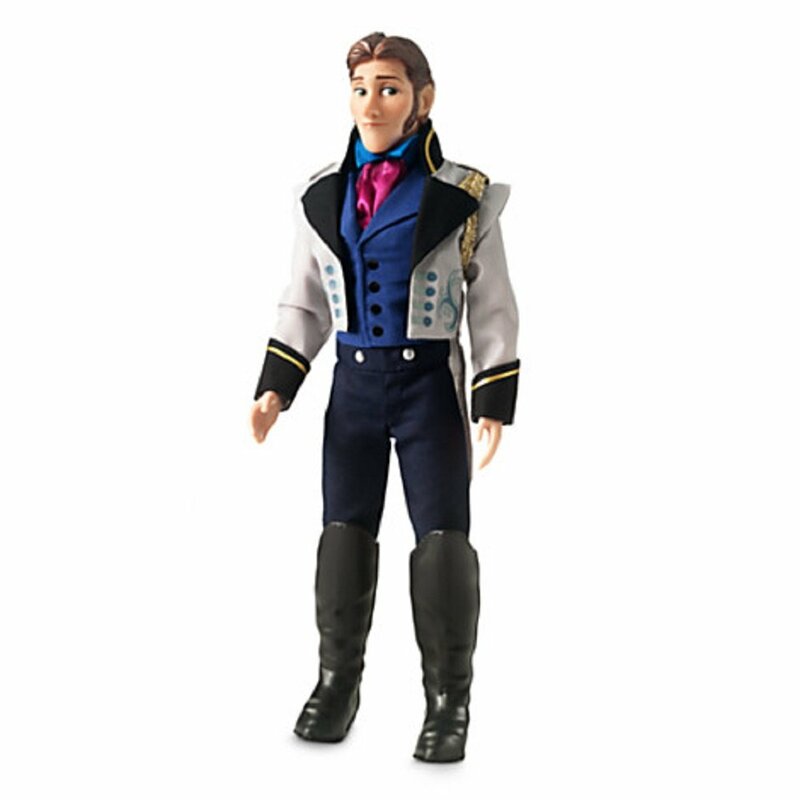 The Disney Frozen Exclusive 12" Classic Doll Hans is dressed as the prince was in the movie with a long dress coat, vest and cravat. He also wears the dark trousers tucked into knee high boots. Get the complete set of Disney Frozen toy characters and your little girls will surely have hours of fun play time.